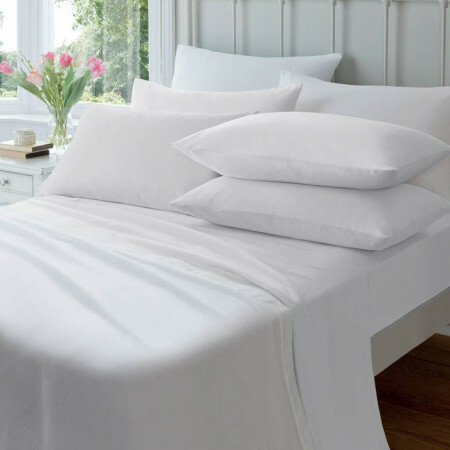 "Plain White with a Detailed Stitched Finish"
Cotton Rich Duvet Cover set from the Italian Collection!
" Easy Care, Easy Iron! " "Contains Pure Bamboo Fibres, a Breathable Natural Antibacterial!" " Easy Care, Easy Iron!! " "Soften Down Your Firm Mattress with this 100% Pure Cotton Covered Topper!" "Feather Pillow with Pure Cotton Cover"
"One of our Best Selling Pillows!" "The Luxury of Pure Cotton with a Windows check pattern!" "300 Thread Count Hotel Style Luxury!!" "Easy Care Bedlinen to Add Style & Comfort to Your Bedroom!"